Oil geology as a scientific field has developed in parallel with the start of oil exploration in Brazil at the end of the 1930s. This chapter analyzes some features of this process. It focuses on different aspects of the activities of the National Petroleum Council (CNP in Portuguese). In Brazil, the development of this scientific field was supported by a State agency, networks of scientists, private companies, and universities—both Brazilian and foreign. This suggests that there were political, economic, and ideological interests at stake in the production of new scientific knowledge. The political context of scientific production, the networks through which this production circulates, and the purposes for which it is used are crucial to the understanding of a creole science. A term coined by environmental historian Stuart McCook creole science encompasses both the impact other spheres have in the production of scientific knowledge and the on-the-ground experience of this production. It also considers the intersections of nature, scientific discoveries, politics, economics, and nationalism. Such reflections are essential for an analysis of the development of the Brazilian field of oil geology. Here we will analyze a previously unreleased collection of documents of the CNP. The studies, exchanges, and breakthroughs made by both Brazilian and foreign scientists reveal these interactions and contribute to a broader understanding of the field. This text elaborates on Chap. 2 of my Master’s thesis Fúria moderna: uma história do petróleo brasileiro através dos arquivos do CNP (Modern fury: a history of Brazilian oil through the CNP archives) (M.A. thesis, Universidade Federal do Rio de Janeiro, 2016). 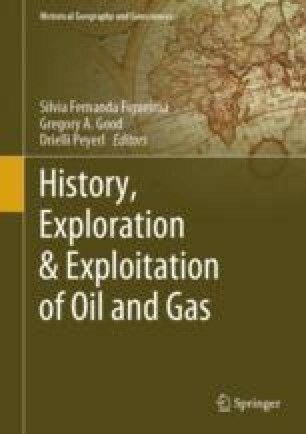 Most documents cited in this text are part of the recently opened document collection of the Brazilian National Petroleum Council, stored in the Brazilian National Archive (Hereon CNP/AN).